The last day for senior’s was on Friday, June 3rd, and that was also the day of the senior send-off. The send-off is for the whole school to recognize the graduating class and say our goodbye’s. The senior-send off assembly included, teachers and students giving their final words of advice for after high school, younger siblings saying goodbye to their senior siblings, a senior slideshow with pictures of the seniors throughout their time here at Highland, and finally the seniors leaving – walking down the middle of the gym hugging their teachers and tearing up saying their goodbyes. 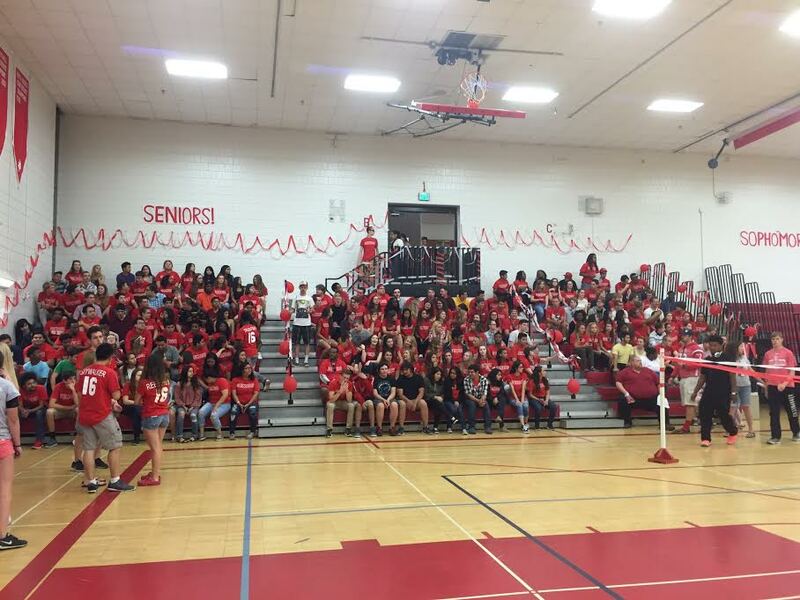 The rest of the students watch the assembly for the seniors. Some get sad saying goodbye to their senior friends. I asked some juniors what they thought of the senior goodbye, considering that the juniors here at Highland are the ones who’ve been in high school the longest with the class of 2016. Did you get sad at this year’s senior goodbye? “Yes, I cried, not specifically for any seniors, just because of the scene and the music playing. It’s just sad,” answered Keshya Bailey-Phelps (11). “It was sad, I didn’t cry though. I wasn’t too close to any of the seniors this year,” answered Gabriela Masiello (11). “It was very sad, I cried because all of my best friends graduated and it’s sad to think that they’re not going to be here in school with me next year,” answered DJ Kahassai (11). Did you think the senior send-off is a relevant assembly? “Yes, of course! It’s very important because not all of us will see some of the seniors again so its important for us to say goodbye at the senior send-off,” answered Keshya Bailey-Phelps (11). “Yeah, it is. It’s my favorite, yet least favorite assembly of the year. It’s the saddest one, but it’s the one that I actually care about and would be sad if I didn’t attend it,” answered Gabriela Masiello (11). “Yeah, it’s important for the seniors to get their own separate assembly just for them so they know we all hope the best for them,” answered DJ Kahassai (11). Congratulations to the graduating Highland Park class of 2016! Class of 2017, we’re next!